Nogent, this name inscribed on the blades of scissors and knives is often confused with Nogent-sur-Marne and Nogent-sur-Seine. The only one of the 17 Nogent of France which have no additive to its name is this Nogent of Haute Marne, world famous and still so little known. Of very old origin, the primitive name of Nogent was NOVIO or NOIO which became NOIUM in Latin and produced successively the French words : NOIANT, NOIGENT and NOGENT. In 1235, after Champagne was included into the kingdom of France, we found the name of “NOGENT LE ROI” which persist until the revolution of 1789. In 1793 we delated “LE ROI”. The commune is called since then NOGENT HAUTE - MARNE. At the Restoration we take back the name of NOGENT LE ROI but the confusion being real with NOGENT LE ROI in Eure and Loir, the general council of Haute Marne proposes in 1890 : NOGENT EN BASSIGNY. However, NOGENT is not located in the Bassigny, area of High east bovine breeding Slogged. This mistake will only be corrected in 1972. The regrouping with the small communes of Donnemarie, Essey les Eaux and Odival then gives the municipality of NOGENT. In the Middle Ages, Nogent was an important stronghold. In the writings we find mention of his castle. We observe very well this typical medieval site where the population was fixed essentially along the valley of the Traire and came, in case of danger, to take refuge in the castle located 100 m higher. A succession of lords resides there until 1234 when Thibaut V Count of Champagne wanted to monopolize the whole region. Especially as having no fortress to defend his domains on the East border, the castle of Nogent was interesting. After four years of fighting, Renier IV Lord of Nogent succumbed to an attack and his sons signed a transaction in 1235 by which they gave up the castle and lands to the Count of Champagne ; as the latter, previous year, had inherited the kingdom of Navarre, Nogent was then called Nogent le Roi. He entrusted the guard of the castle to a governor. He loved Nogent, whom he often came to visit. He freed the inhabitants in June 1235. During the hundred years’war, the Anglo-Burgundians seized the city. In 1486, following wars and plague, there were only 92 families in Nogent. When Richelieu came to power with Louis XIII, he made destroy most of the fortresses. But the Castle of Nogent escaped destruction. The order of demolition was removed on condition that the inhabitants take care to maintain it under the command of a governor named by the King. Ramparts still existed at the beginning of the XVIII century, at the same time, the population increased around the castle in the upper town. But as there was no more maintenance, the Castle collapsed, or we took care to collapse it and get back stones to build the neighboring houses. There remains only ruins (pieces of ramparts). The tower still visible today is a corner tower rebuilt in the XIX. Nogent is the seat of a provost of the bailiwick of Chaumont. The cutlery, appeared around 1650, quickly acquires a big fame. This industry develops in XVIII benefiting from an influx of cutlers Langrois forced to become established in more than 4 places of the episcopal city. The cutlery city participates at the revolution. From 1793, sabers and bayonets are manufactured. On this occasion, saint Germain's church was transformed into a saber factory for the needs of the cause. In the nineteenth century this industry (knives, scissors, hand tools, surgical instruments ...) reached its peak and 6000 workers form the Nogentais area settling along watercourses (Traire, Marne, Rognon, Meuse...). The population increases which explains the reconstruction of the church Saint Jean inaugurated in 1865. But the war of 1870 will wreak havoc from 06 to 13 December. 60 burned houses, 500 people without asylum in winter. The bruised city, decides to erect a monument to the victims fallen on its territory immortalized by Bernard Dimey in his poem the Childhood. From 1850, companies are created. Structural changes occur in the most important factories. They simultaneously concern specialization, the division of labor and mechanization. The justice of Peace replaces the provostship and settles in a door of the old castle until 1958. During the Great war of 1914-1918 many women replace the men left at the front and some factories make the armament. Today, tradition and innovation, the hand of man and robots coexist in companies. The high-end cutlery produces luxury items distributed around the world. As for high technology, it supplies large-scale production of weapons, automobiles, aviation, agricultural machinery, prostheses and implants and surgical equipment on the French and foreign markets. Nogent small town of 4000 inhabitants is 12 km from the A5 and A31 motorways. 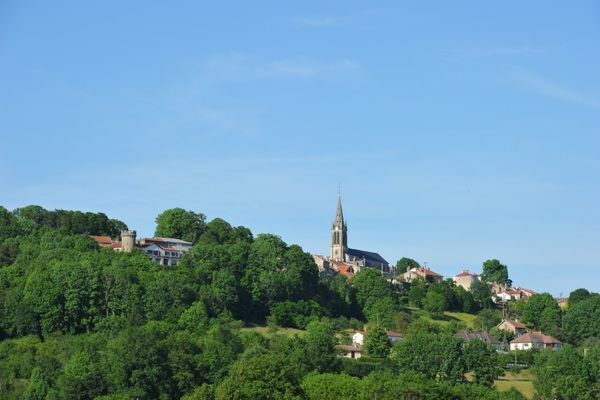 In a wooded area, quiet and green it is more than 3 hours from Paris, Lyon and Germany. There is no review about Nogent, be the first to leave one !